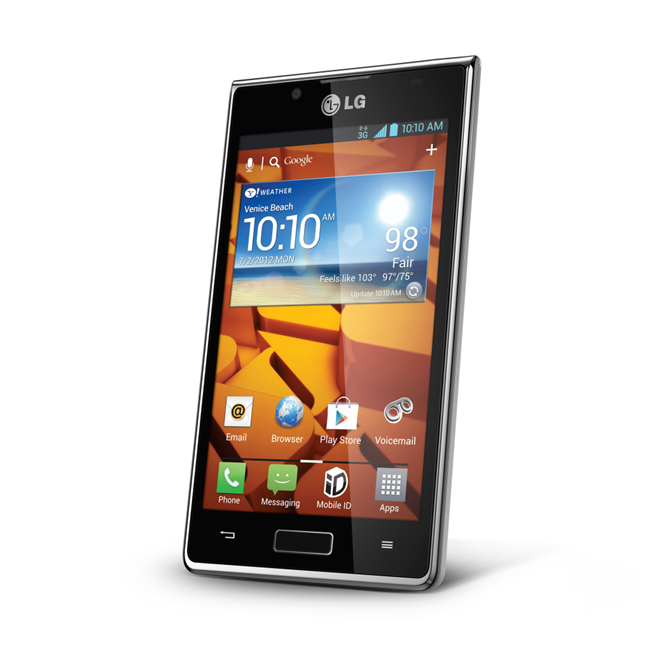 Boost Mobile has just announced yet another option to its Android-powered entourage: the LG Venice. The 4.3" Venice is touted as an "ultra-thin" and light handset, and at only one-third of an inch thick with a weight of 4.41 oz, it affirms that claim. The phone ships with fairly average specs: 1GHz processor, 1GB RAM, 5MP rear shooter, VGA front camera, and Android 4.0. The device will go on sale beginning October 10th for a modest $219 and is "paired with Boost Mobile's no-contract $55 Android Monthly Unlimited plan." IRVINE, Calif.--(BUSINESS WIRE)--Boost Mobile, a leader in the no-contract wireless industry, and LG Electronics USA today announced a new Android-powered smartphone, the LG Venice, that delivers style, cutting-edge technology and affordability combined with Boost Mobile’s Android Monthly Unlimited with Shrinking Payments. Only about one-third of an inch thick and weighing a mere 4.41 ounces, the sleek LG Venice is a high-powered slim smartphone with great viewing and entertainment experience. It will be available starting Oct. 10 for $219.99 (excluding taxes) at Boost Mobile’s exclusive retail stores, select independent wireless dealer locations nationwide and atwww.boostmobile.com with free shipping. The LG Venice also will be available late October in select national retail locations. Boasting a 1GHz processor combined with Android 4.0 (Ice Cream Sandwich) and an enhanced LG Optimus 3.0 interface, the LG Venice allows for improved multitasking, surfing, watching videos and accessing the more than 600,000 apps in the Google Play Store. The durable 4.3-inch, scratch-resistant Corning®Gorilla® Glass touchscreen combined with a 5MP camera and VGA front-facing camera let consumers capture, connect and share life’s special moments. The LG Venice is paired with Boost Mobile’s no-contract $55 Android Monthly Unlimited plan with Shrinking Payments. For every six on-time payments, the cost of Boost Mobile’s Monthly Unlimited plan shrinks by $5, eventually getting down to as low as $40 a month for unlimited nationwide talk, text and picture messaging, Web1, email and calls to 411. Payments do not need to be consecutive to qualify for the next savings milestone.